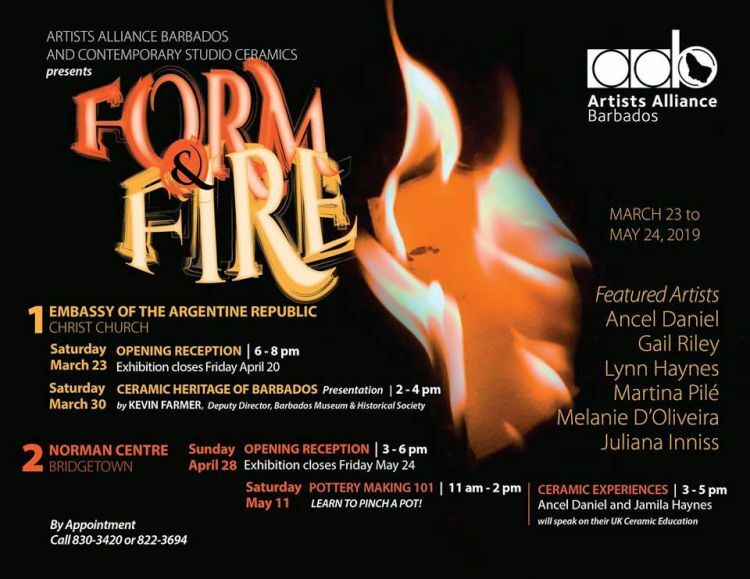 The Artists Alliance Barbados and Contemporary Studio Ceramics present a Pop-Up Exhibition entitled Form and Fire. This exhibition will be housed at the Embassy of Argentina. Directions: Almost obliquely opposite the Savannah Hotel in Hastings. On land side. Drive in to the left and continue to the back where there is a sign for the Embassy. Exhibition closes Fri Apr 20th. The Exhibition will subsequently move to the Norman Centre Mall, Bridgetown.